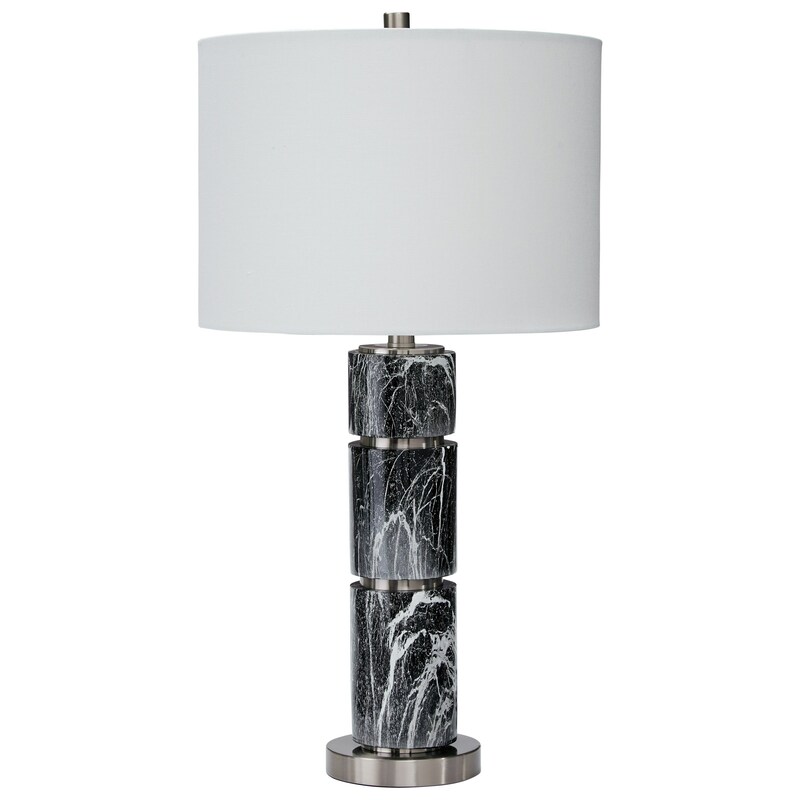 Faux Marble and Brushed Silver Finished Metal Table Lamp. Drum Shade. 3-Way Switch. Type A Bulb - 100 Watts Max or 23 Watts Max CFL. The Lamps - Contemporary Set of 2 Maricela Black/White Poly Table Lamps by Signature Design by Ashley at Furniture Fair - North Carolina in the Jacksonville, Greenville, Goldsboro, New Bern, Rocky Mount, Wilmington NC area. Product availability may vary. Contact us for the most current availability on this product. The Lamps - Contemporary collection is a great option if you are looking for Contemporary Lighting in the Jacksonville, Greenville, Goldsboro, New Bern, Rocky Mount, Wilmington NC area. Browse other items in the Lamps - Contemporary collection from Furniture Fair - North Carolina in the Jacksonville, Greenville, Goldsboro, New Bern, Rocky Mount, Wilmington NC area.